Anacamptis palustris is a slender and tall plant, which can grow to a height of 50 cm. The 3 to 5 unspotted foliage leaves are narrowly lanceolate, keeled and directed upwards. The two petals of the flowers form a little hood, above follow the middle sepal and the almost erect two lateral sepals. 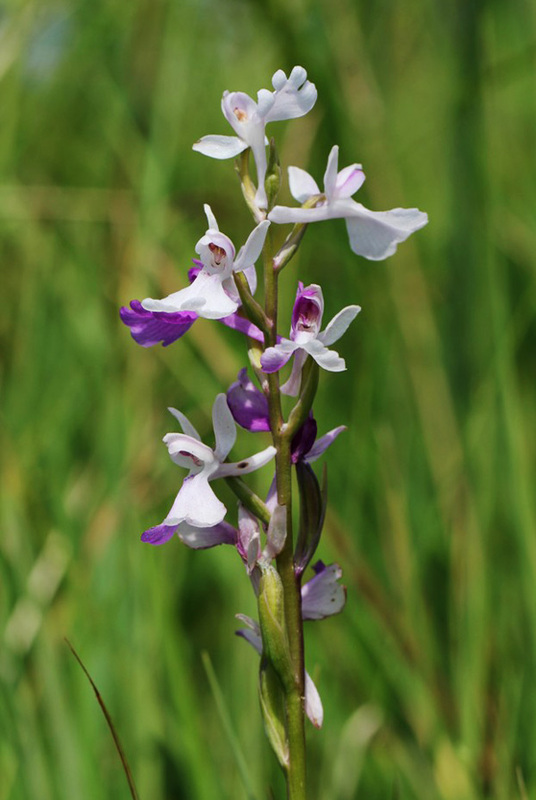 The rounded labellum is three-lobed, the middle lobe also divided. The bracts are as long as the ovary. The cylindrical spur is directed horizontally or slightly upwards. 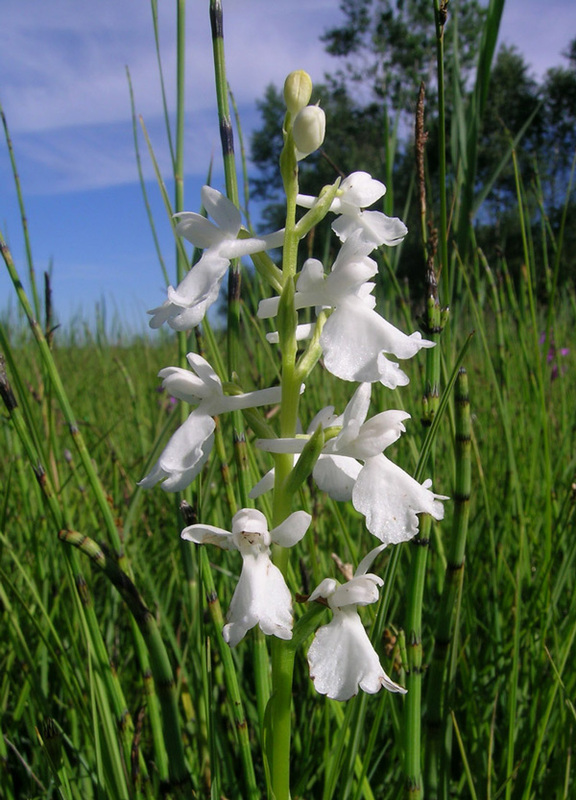 The Dutch botanist Nikolaus Joseph von Jacquin (1727-1817) described the plant as Orchis palustris in his opus Icones plantarum rariorum (1787). Later it was named Richard Bateman, Alec Pridgeon and Mark Chase put the plant to the genus Anacamptis in 1997. 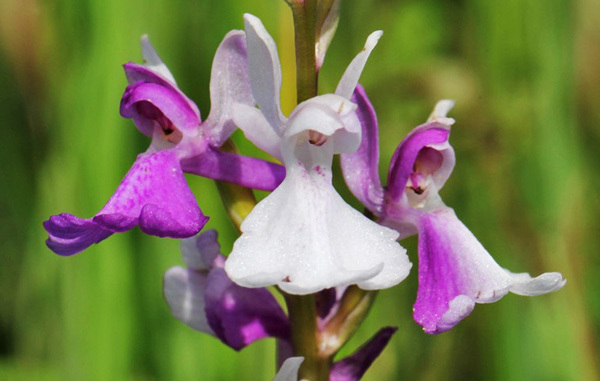 The flowers of Anacamptis palustris are normally violet with a brighter area and violet spots in the centre of the labellum. Albiflora forms are quite rare. Two photos here show the rare variegation of flowers which are partly violet and white.